For stevedoring services rate quotes please contact Randy Grune at 808-527-3480. 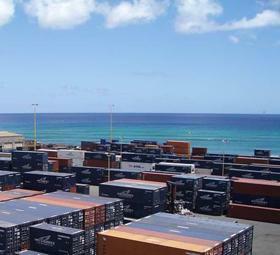 Hawaii Stevedores, Inc. is committed to providing our customers the best service. We seek individuals who share this same vision. Our associates enjoy their career with Hawaii Stevedores because of our commitment to recognizing and rewarding performance excellence. At HSI, you will have the opportunity to work with some of the most experienced and passionate people in the transportation industry. The Pasha Group provides reasonable accommodations to qualified individuals with a disability. If you need assistance in the application process, please contact Human Resources.